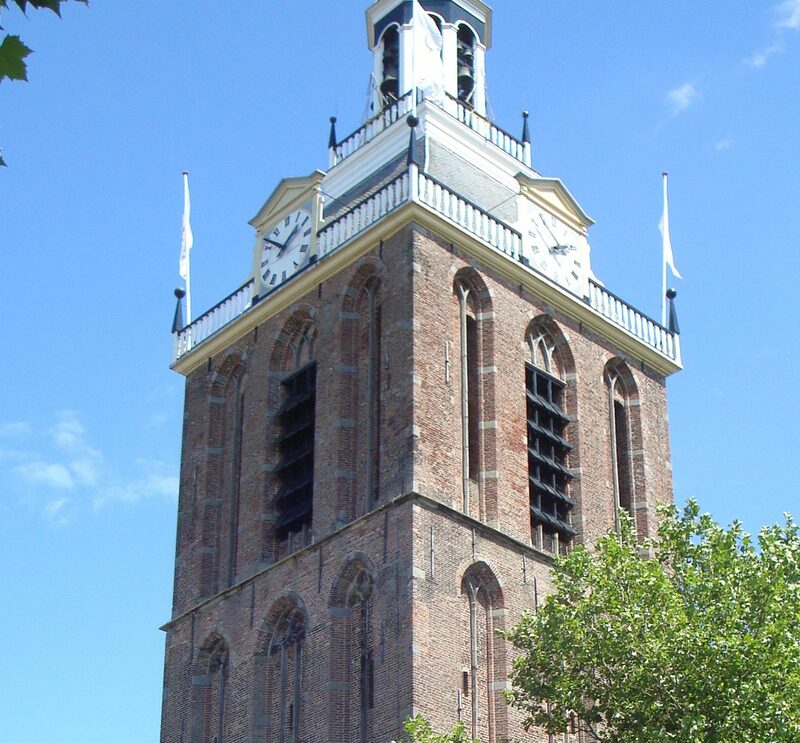 In 1945, a committee was founded in order to memorialize the suffering of the inhabitants of Meppel during the war and to celebrate the liberation of the town on 13 April 1945. Fundraising was organized to create a resistance monument in Wilhelmina Park and a carillon in the so-called ‘Meppeler Tower’. The committee received contributions from companies, institutions and individuals, among them Dutch Queen Wilhelmina. 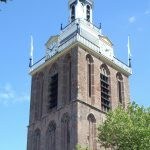 The municipality of Meppel paid for the remainder. Both monuments were dedicated on 13 April 1949, at the occasion of the fourth anniversary of the liberation of the town. 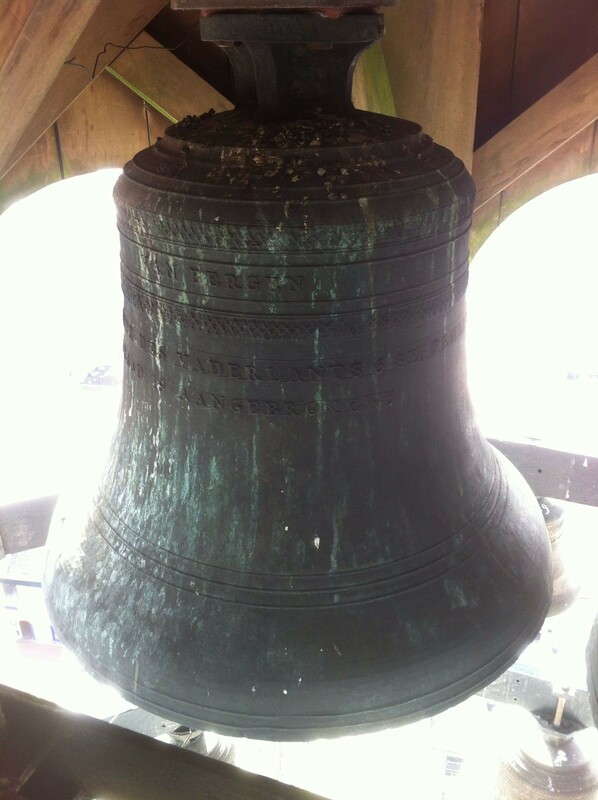 The Van Bergen bell foundry cast 40 bells, of which several mention names of donors. 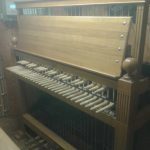 Since the quality of the instrument was not optimal, several improvements were made in subsequent years. 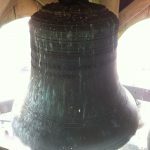 In 1960, Van Bergen replaced three small bells. 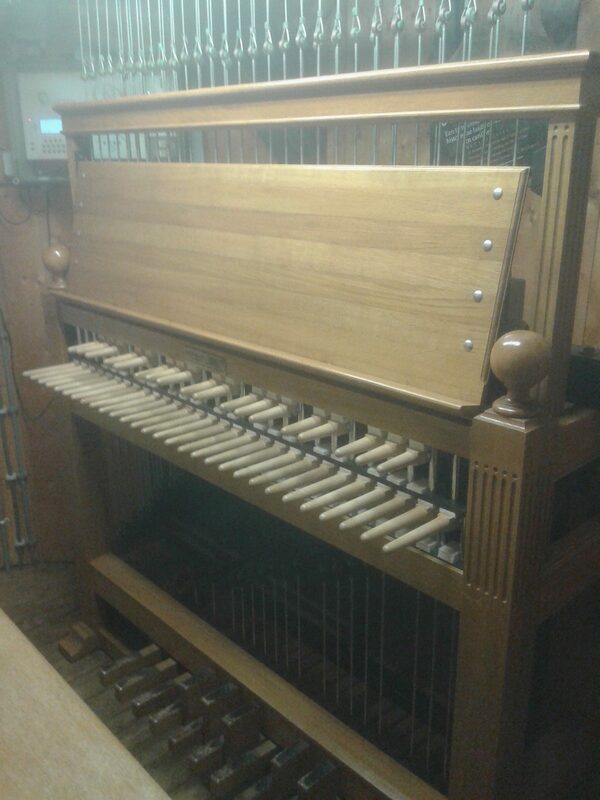 In 1968, Eijsbouts delivered a new clock and automatic playing system. After the granting of a state subsidy, the instrument underwent a thorough renovation in 1973-1974. 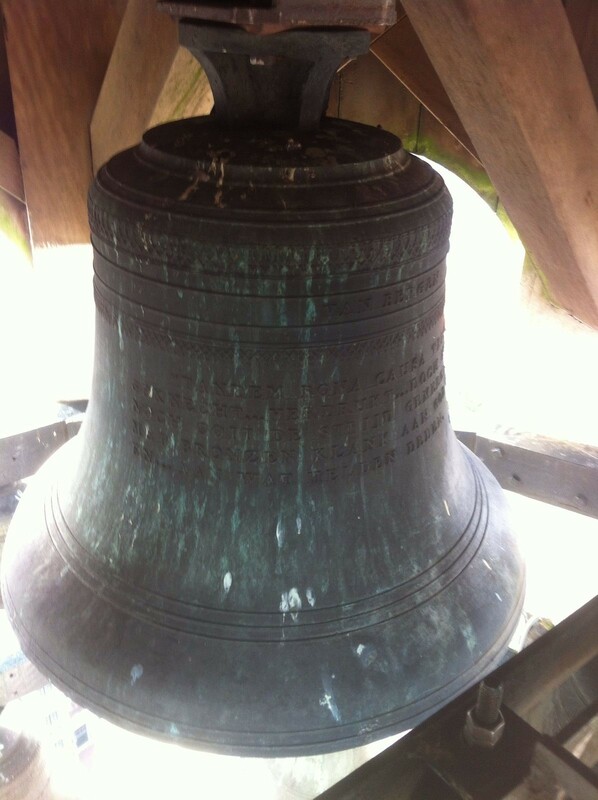 Eijsbouts recast 26 bells, added 5 Van Bergen bells that had served in the carillon of Hasselt and added 7 new treble bells. 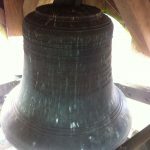 Only 9 of the original Van Bergen bells were kept. The names of the donors on bells that had been replaced were put on a memorial plaque in the playing cabin. In 2010 the automatic system was replaced by a computer system with pneumatic pistons. NOCH OOIT DE STRIJD GEMEDEN. MET BRONZEN KLANK AAN GOD DE DANK. …EN AAN WAT HELDEN DEDEN. Enslaved… oppressed … but never bowed down. and the heroes for their deeds.